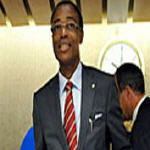 The Talks between the government of the Democratic Republic of Congo (DR Congo) and a main rebel group are making steady progress but have been adjourned until next week, mediators said on Friday. 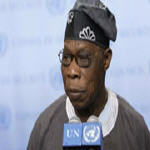 The Nairobi peace talks which began earlier this week will adjourn until Dec. 17, Olusegun Obasanjo, the UN Special Envoy and former Nigerian president said in a statement. 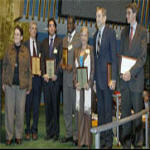 The United Nations General Assembly today awarded its top human rights prize to seven global advocates ranging from a Congolese doctor who treats female victims of sexual violence, a nun who fought for indigenous rights before her murder in Brazil, and the assassinated Pakistani leader Benazir Bhutto. 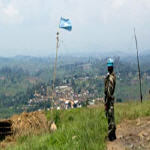 The security situation has improved in Masisi territory, but remains fragile in Kiwanja-Ishasa, despite the retreat of the “Congrès National pour la Défense du Peuple” (CNDP) troops from Kiwanja-Ishasa, according to the MONUC military spokesperson Lieutenant Colonel Jean Paul Dietrich, at the weekly MONUC press conference of 10 December 2008. 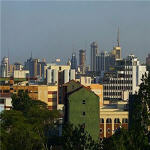 Talks aimed at restoring peace in the war-ravaged eastern Democratic Republic of Congo (DR Congo) kicked off in Nairobi, Kenya, on Monday with mediators calling on both sides to lay down their arms for the sake of stability in the Great Lakes Region. 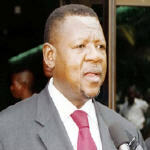 Kenyan Foreign Minister Moses Wetangula urged the warring parties to put aside their differences and pursue the path of peace. 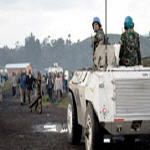 The UN Children’s Fund (UNICEF) said at least five youngsters were recently drafted in the town of Kitshanga in North Kivu province, where fighting has recently flared between the Government army, the Congress in Defence of the People (CNDP) led by rebel general Laurent Nkunda, and the Mayi Mayi militia. The Human Rights Council today concluded its eighth special session on the situation of human rights in the east of the Democratic Republic of the Congo and adopted a resolution in which it condemned the acts of violence, human rights violations and abuses committed in Kivu. 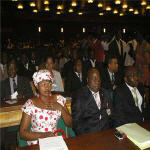 Prime Minister Adolphe Muzito has sent the government's 2009 budget proposal to the Parliament. The $4.97 billion spending plan was introduced on Friday, November 27, and represents a 61.8% increase compared to the 2008 budget.